However, with more distracted drivers on the road in recent years, the risk of pedestrian accidents has steadily risen. The Centers for Disease Control and Prevention (CDC) report that “4,735 pedestrians were killed in traffic crashes in the U.S.” in 2013. More than 150,000 others were treated for injuries. In Washington State, pedestrians have the right of way when crossing the street in a marked or unmarked crosswalk. According to the National Conference of State Legislatures (NCSL), restrictions exist when traffic signals and signs are in operation. You must yield to vehicles if you’re crossing the roadway outside of a crosswalk, and you may only cross when the traffic control device permits. Of course, pedestrians may not—and should not—leave a curb or walkway and enter the street or crosswalk in the imminent path of a vehicle. 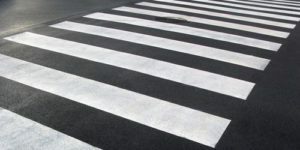 Use designated crosswalks to cross streets and intersections. If a sidewalk or pathway is not available, walk along the shoulder of the road, facing traffic. When walking at night, make sure you’re visible to drivers—wear reflective gear or carry a flashlight. If you or a loved one have been injured in a traffic accident, please seek medical attention. Then contact me for a free, confidential consultation—you may be eligible for compensation. Please reach out if you’d like to know more about pedestrian rights in traffic accidents, and follow this blog or sign up for my newsletter to learn about my personal injury legal services. As always, be safe and thanks for reading!